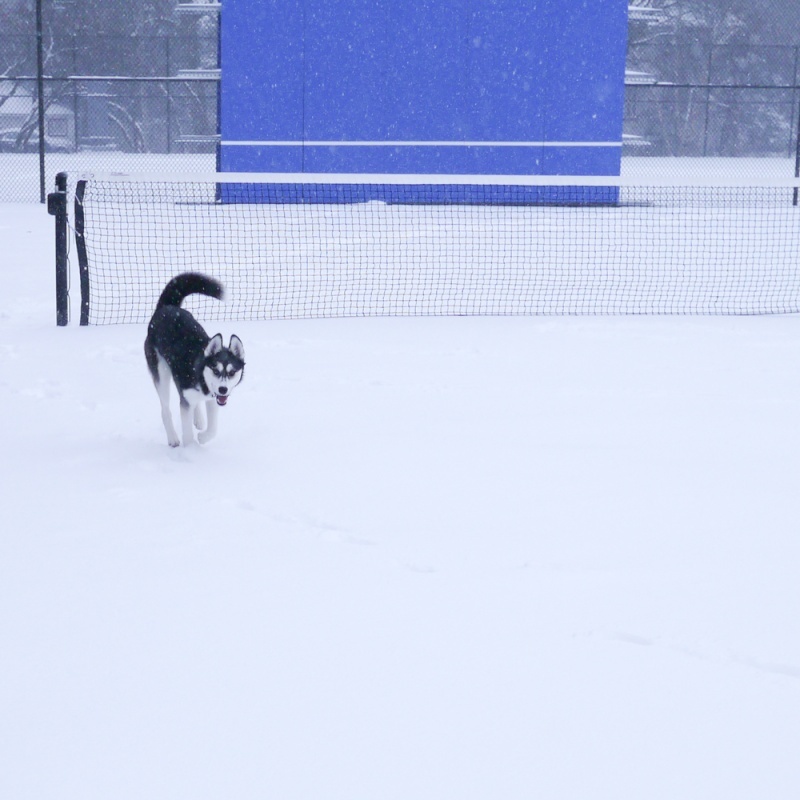 I made a quick video of Anya engaging in her newest favorite pastimes: laser chasing and romping at the dog park. Some more pictures of her at 21 weeks. She now weighs 31 pounds! Well I guess this was the last time I will tether her in the bath. She seems to love it now! Mishka loves to play in the water but he hates a bath. Lol. I wish my girls liked the bath that much. I keep thinking she's going to look a lot like Kay when she's full grown. I wonder if Kay was that cute as a pup. I agree, I think she will look like Kay too, except her tail probably wont be as fluffy Kay was probably just as cute! Her tail will be gorgeous even if it isn't that fluffy. My dog walker, who is also a neighbor kidnapped Anya today so she could play with one of her best friends, Zizzo the doberman mix. His girlfriend was home too and took these hilarious photos and sent them to me on Facebook. Not a bad service for only $5 a day!! Angry faces! Hahaha. Love them. Hi all! It's been a couple months! As of today Anya is 40 lbs and stands about 21.5" at the withers. I hope this is as big as she gets, but we'll see! Princess Devil! I love it! I took a picture of her yesterday while I was installing the Christmas lights in my sun room. She's is now 38 weeks (almost 9 months old) I remember when she couldn't look out the window without standing on her hind legs. Wow, our dogs look very similar, even the brown markings. Love her so much. Playing in the snow is so much fun!